Who says Paleo lunchboxes have to be boring? After combing through all the Paleo meal ideas on my blog (and in my cookbook and iPad app), are you still stumped about what to pack your kiddos (or yourself) for your mid-day meal? If so, don’t despair! Review this summary—devoted entirely to packed lunches. Some eaters—big or small—enjoy variety, while others like the same thing every day. But no matter what, make sure to pack real, nourishing foods: some protein, vegetables, healthy fats, and fruit. When I’m prepping lunches for the kiddos, I try to remember the Golden Rule of Lunches: Don’t pack anything in the kids’ lunchboxes that I wouldn’t happily eat myself. Lastly: Get your kids involved in picking foods and packing their own lunches! If they have a say in selecting items from your real-food pantry, their food is more likely to end up in their bellies rather than the garbage can or trade box. Use an insulated food container like a LunchBots Thermal to keep hot foods hot! Toss an ice pack or two into your lunch bag to keep cold food cold! Satiate bigger appetites by packing more food! Remember: these meal ideas are simply meant to get your creative juices flowing—not to strictly mandate what your lunch needs to look like. 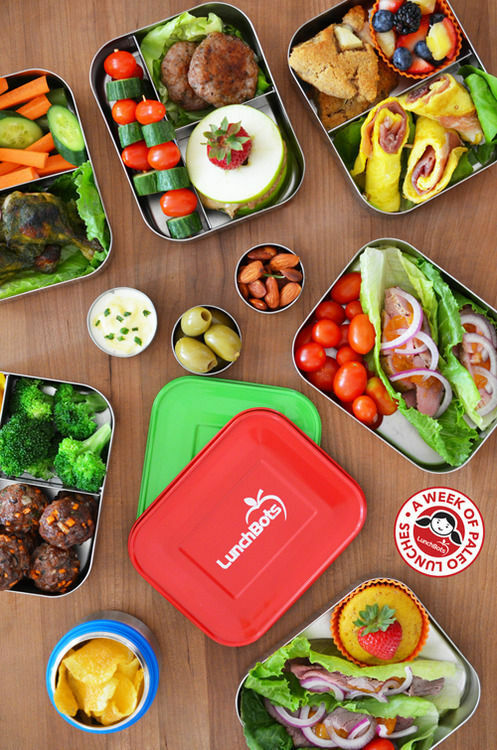 So start dreaming up your own uniquely tasty lunchboxes! What? You want more? Okay—let’s jump into our handy-dandy time machine and visit the series of Paleo lunches I made with LunchBots way back in 2012! Matt and Stacy of Paleo Parents have released a fabulous e-book, Paleo to Go, that takes the guesswork out of packing healthy meals and snacks. These lunchbox-packing gurus tackle plenty of tough subjects in this helpful book, including allergy avoidance and assembling complete meals in three easy steps. Interested? Click here to buy Paleo to Go! 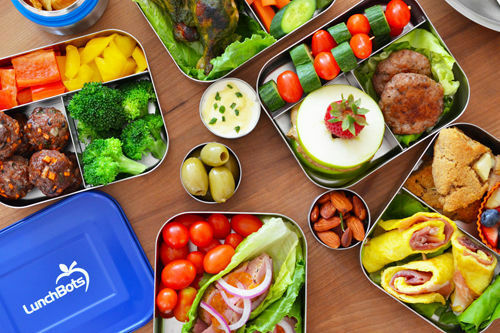 Did you know there’s an entire blog dedicated to Paleo packed lunches? 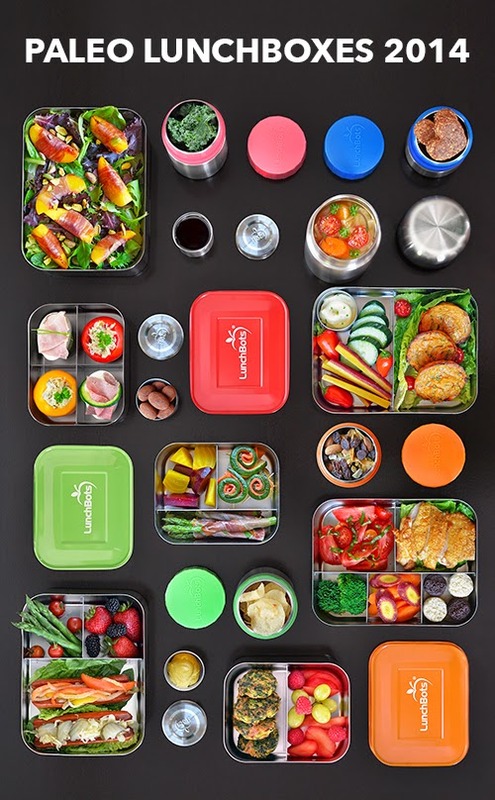 It hasn’t been updated in a while, but go check out My Paleo Lunch Boxes. 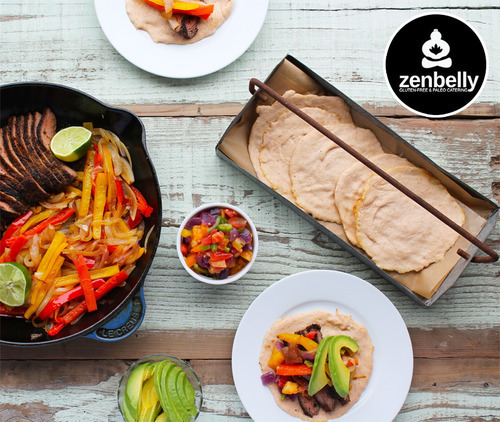 And last but not least: Zenbelly’s Paleo-friendly recipe for Plaintain Tortillas. Because TORTILLAS. Steph Gaudreau from Stupid Easy Paleo has a fantastic tortilla recipe, too—go take a look-see! Okay, I’m all tapped out. But please give me some feedback about what you’d like to see in future Paleo Lunchboxes in the comments section, and tell me all about the new and creative lunch ideas you’ve dreamed up!